These dolls and animals use a mix of cotton prints and wool felt to make a truly unique craft. 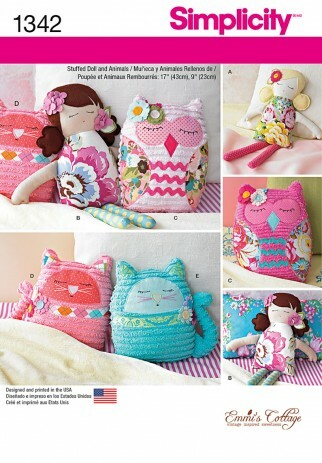 Pattern includes doll and cat each in 2 styles and an owl. Emmis Cottage for Simplicity.